What are the different surfaces you can use a power washer on? What a time saver your Power Washer is! 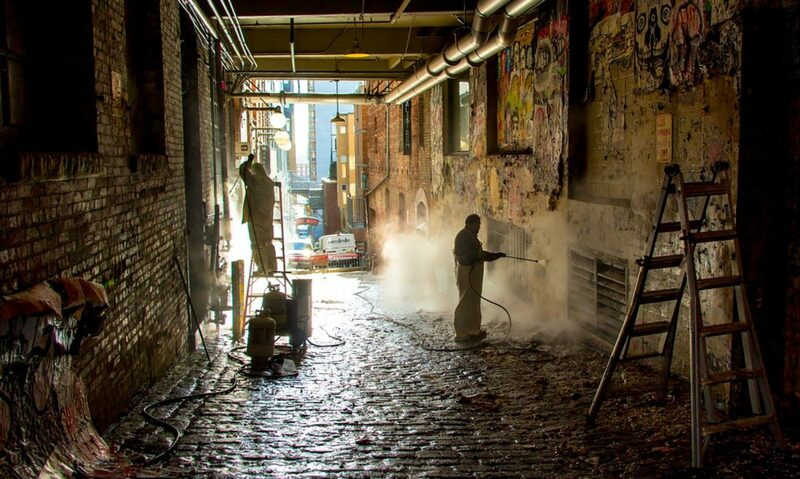 A pressure cleaning rig has so many uses that soon it will be your best buddy. Let’s take a look at some surfaces that will definitely save you a back ache and time using a power washer. Using the power washer for cleaning your car is super easy, quick and enjoyable that you´ll look forward for the next car wash. Be careful you don´t use the highest pressure nozzle as it can literally take the paint off your car. First, you would wash the car with just water to make sure all the dirt is gone. Don’t forget to aim underneath the car to get all that caked-on dirt. Afterwards, apply car soap yourself or use the soap tip if you have one. Then use the low pressure tip nozzle to take the soap away. 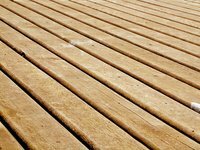 Your power washer is a great way to clean a wood or composite deck. When you just hosted a barbeque, your deck ends up being sticky from pop, juice, wine and the dessert crumbs are stuck from being stepped on. Who really wants to manually clean that? Leave it to the pressure cleaning rig! It is amazing with wood house sidings, gazebos, stairs, wooden fences and outdoor wooden furniture. If you are planning on re-painting it can help take off the loose paint or help you prepare the surface for a new paint job. Just keep in mind when you just want to clean the surface use a low-pressure nozzle tip. Your Powerful wand can strip off the finish from the wood easily. Also, the water particles can embed themselves further inside the wood that can cause it to bend or rot over time. This is the reason you don´t combine detergent with a high-pressured nozzle when washing wooden surfaces. For a little help power washing your deck in Arlington, give Ecotek a call. Yes, guys love to take over the grill but do they love cleaning it after? The smell of grilled meat is just amazing as the grease and fat start melting away. That grease can stay in there for a long time if you don´t clean your grill after every use. It’s a huge pain to clean in manually. But the power washer is a life changer. Here’s how to clean your grill. Make sure it is disconnected from the propane tank or a natural gas line. It would be wise to start with a wider nozzle tip (45 degrees) to get the loose grease, grime and fat. Then add a strong degreaser and let it sit there for at least a few minutes. Use a stronger spray to remove the harder stains. As you removed all that grime you can rinse it down back with a wider nozzle tip. There is always a car that ends up leaking a little bit of oil and having oil stains on your driveway looks ugly. Your garage floor, walkways and your driveway can be very difficult to clean. But again, nothing can stop your that high pressure spray. When you use a higher pressure nozzle tip with detergent it can easily get that grease and oil stains leaving your driveway spotless. Your pool or your Jacuzzi can easily build up mold during time. This is when buying a power washer that uses hot water will benefit you. If you get a unit that can produce steam you can quickly demolish mold and the surfaces will be microbe-free. Not only does that high pressure setup display mighty acts against strong material, it is considerate to fragile surfaces like glass. Do you have huge windows on the second level? Well your best buddy can be strong enough to take the dirt but gently at the same time. Most of all, it cleans fairly fast on those big windows when using a wide angle nozzle tip. If you own a boat this s your answer. No doubt it is a lot of work to clean and maintain a boat. You have materials like metal, wood, glass and fiberglass on your boat but with the proper tip it is versatile to clean all those surfaces. Just be aware of what kind of nozzle you should use for each material. There you have it; a power washer is an amazing tool to own for a homeowner. It saves you a lot of time as it gets the job done for many different surfaces in more than the half amount of time doing it by hand. If it is your first time owning one, read about the other blog on the different types of nozzle tips and its uses so you can fully use this tool to its full potential. We have the pressure washer set up, all ready to go, and then we realize all that we have is the machine. Yes, the power washer itself is just 1/2 of what you actually need to get started, it’s only the part that will be pumping a high pressure of water through a wand. What we really need to learn is the correct nozzle we should use, to be the most effective and to achieve the best results. Here’s a quick look into 5 different types of universal power washing nozzles to help clean any surface, whether its concrete, siding or a wood deck. It can be tricky to learn the different spray tips, but we tried to make it as simple as possible- even color coated. Here we have the red tip. Which is a 0 degree extremely concentrated spray. You really do have to be careful using this tip, because it can damage sensitive or soft surfaces. Do not use on wood or painted surfaces unless you are trying to remove the paint. It has the power to scratch some surfaces due to the high intensity so using it on siding is NOT recommended unless it is several stories high and you’re using this tip to reach the third story. Now the next tip we use, disperses out water with a 15 degree spray pattern. This is best used for concrete, and also used when removing mildew stains. Keep in mind when using this tip, to achieve the best results we choose not to use it with chemicals or detergents, because it can eventually lead to the chemicals being embedded in small crevices. One of the most diverse nozzles is the white tip. It has a spray pattern of 40 degrees. It can be used to clean delicate surfaces. Such as, aluminum siding, wood, vinyl, and vehicles. This is one of the most commonly used nozzles and can be used on vinyl siding at closer distances. Lastly, we have the black tip. It has a spray pattern of 65 degrees and sprays with a very gentle stream. Power washers usually use this tip when needing to prepare or presoak the surface for the official cleaning. Knowing exactly what type of tip to use is crucial. Potentially a short task could turn into being a longer one if the wrong nozzle is used. Keeping this color coated cheat sheet will help ensure efficiency and effectiveness for any job. With a location directly across from Washington, D.C., on the Potomac Rivers south bank, sits the beautiful county of Arlington Virginia. Here you can find museums and memorials, delicious restaurants and absolutely great places to relax. One of the top sites to see is the Arlington National Cemetery. Within this cemetery you will find the gravesite of John F. Kennedy, accompanied by the eternal burning flame. You will also see the gravesite of the only other president buried at the Arlington National Cemetery, William Howard Taft. This cemetery has dedicated a section entitled “Tombs of the Unknown Soldiers.” These are the unidentifiable soldiers that have been taken home to have a proper burial. These soldiers are ones from the following wars; World War l, World war ll and Korea, and the Unknown of Vietnam. If you would like to keep touring Arlington, you can make arrangements ahead of time to tour The Pentagon, which is the headquarters of the U.S. Department of Defense. It is a five-sided concrete building covering more than 6 million square feet of floor space, it actually ranks among the largest office buildings in the world. With being so close, just southwest of the Pentagon you can visit the Pentagon Memorial, which is a permanent outdoor memorial dedicated to the 184 people who died as victims in the building and on flight 77 during the September 11 attacks. If you would like to go and see the Pentagon Memorial, it is open 24 hours a day. Sometimes when traveling and sightseeing the best thing to do is to get some fresh air and free your mind. What a better place to do that then to visit the 67 acres of wild and cultivated land at Potomac Overlook Regional Park. You can come to this park to learn about the connection between nature and humans, hike many miles of beautiful trails, and if you happen to go in the summertime the national park itself hosts a summer concert series every second Saturday of every month. Just bring your hiking shoes, a few snacks and a nice blanket to enjoy a fun filled summer day exploring nature. Besides these few sites to see, you can also enjoy the amazing quality and variety of food and restaurants, local breweries, and great shopping. From anything to local boutiques to the upscale shopping mall, Fashion Centre at Pentagon City. All are destined to enjoy being in Arlington, Virginia. Wether you are single, traveling the surrounding cities and counties, or a family, ready to see the historical sites and teach your children about the history of what Arlington itself has been through, you will no doubt enjoy every minute of being in this beautiful county and seeing what it has to offer. It’s getting to that time of year and you know you want to spruce up the exterior of your house. The thought of possibly having to go outside and scrub your siding and/or deck and doing it by yourself seems daunting. What better way to solve the problem and a hire a trustworthy power washing company to come and get the grunt work done for you. But first, there’s a few things we all need to remember before hiring the first company we see advertised. This is crucial! Make sure the company has their own insurance that will cover any damage done while they are on the job. You do not want to be in a situation where you have to pay out of your pocket for all the damages caused by the power washing workers or products that they use to clean your siding, sidewalks, or deck cleaning. A good power washing company should naturally be efficient and work at a good speed. You do not want to have to call back the company to set up another appointment because they missed something, or call them back because they damaged something. How is their quality? Have you seen photos of their work? How long will it last? Have you read reviews from local users specific to Arlington Virginia? It would be absolutely terrible to have to call the company again for another appointment because the work they did, didn’t stay clean long. Talk or even ask to take a look at their supplies and power washer that they will be using. Is it just a cheap one that you can pick up from your local home improvement store or does it look like they actually invested in nice machinery. How long have they been in business? Have you heard good things about this company? How reliable do they seem? You really want to see what others say about the company and overall make sure you get good feedback and awesome reviews. Talk about the “just in case” situations. Verbally communicate and see what exactly will be done, what products will be used for pressure cleaning services, and if anything happens to your surrounding plants will they take responsibility and replace them. If anything were to happen on their time clock, you would want to know that the company would take full responsibility. Now, we are talking about one of the best possible ways to clean the exterior of your home, decks, sidewalks, and driveway. This service is bound to bring satisfaction to its customers, of course when hiring the right company. Your house will look absolutely astounding afterwards and hiring a power washer is 100% recommended to keeping a beautiful exterior for your Arlington home. Keeping these 7 useful tips in mind will help you tremendously when thinking of hiring a power washing company. When you come across one, trust your instincts if you get a good feeling about them. Remember as well, we are always ready to help any current customer and new potential customers with any further questions you might have! Especially when it comes to power washing.